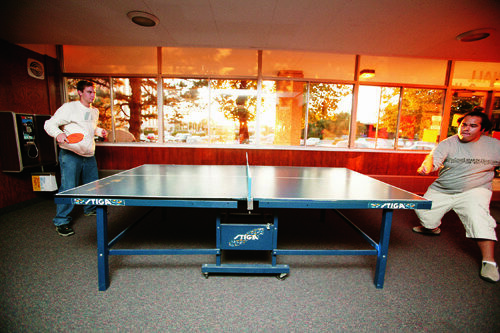 Weary After a Heavy Load of Wednesday classes, including calculus, Book of Mormon, chemistry, and deductive logic, Michael C. Hermansen (’10), from Moorpark, Calif., headed home to Deseret Towers and a game of Ping-Pong. “It’s a way to take our minds off stuff,” he says. 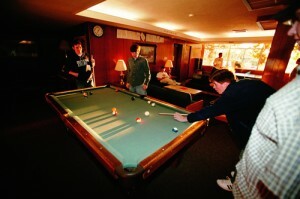 In addition to table tennis, dorm dwellers enjoy such perks as hosting guests during visiting hours, eating meals with friends, and shooting pool. 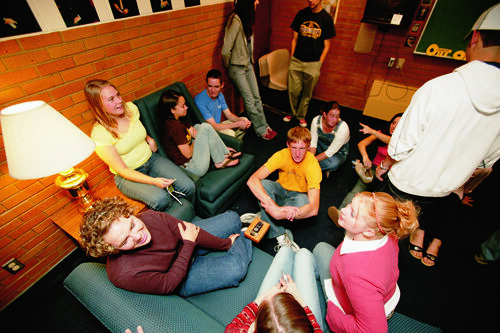 In close quarters, students bask in the social life of the dorms and the freshman wards. On Sept. 22 the BYU 14th Ward hosted a Cinderella dinner, in which dining dates are chosen by their shoes. Sometimes dorm fun is too distracting. “Being in the dorms was lots of fun, but it was also bad because I didn’t get a lot of work done,” admits Brett D. Puterbaugh (’10), a Helaman Halls resident who at 9 PM on Sept. 22 asked Elizabeth H. Bekker (’08) for a spontaneous date. Despite such diversions, Bekker insists everyone should have the dorm experience. “My best friends now are people that I met in the dorms,” she says.